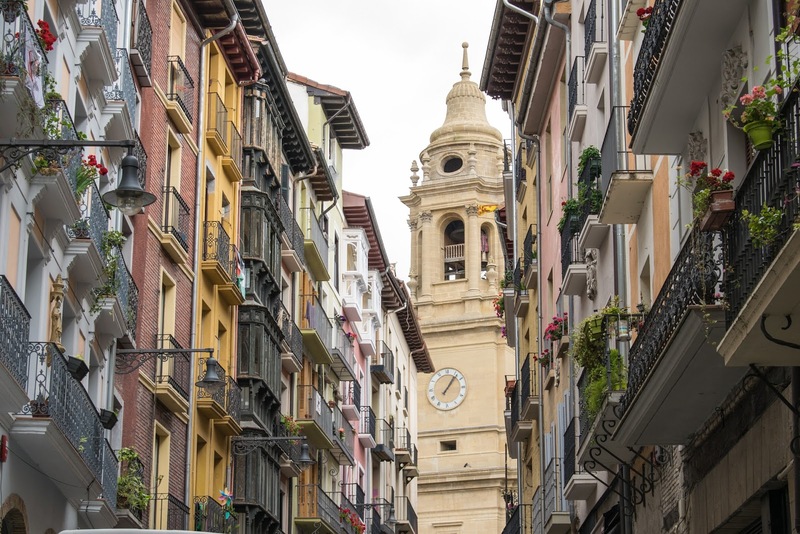 It's festival season and around the world people are preparing for their local celebrations. There's something for everyone as not all festivals include beer and music! 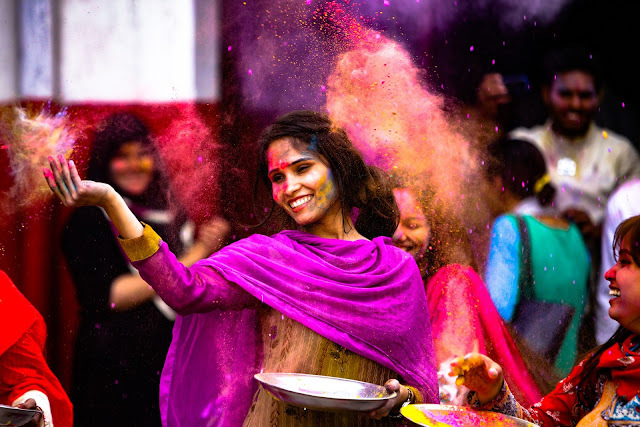 Holi in India (and other locations) is the festival of colour and signifies the victory of good over evil, the arrival of spring, end of winter, and for many a festive day to meet others, play and laugh, forget and forgive, and repair broken relationships. 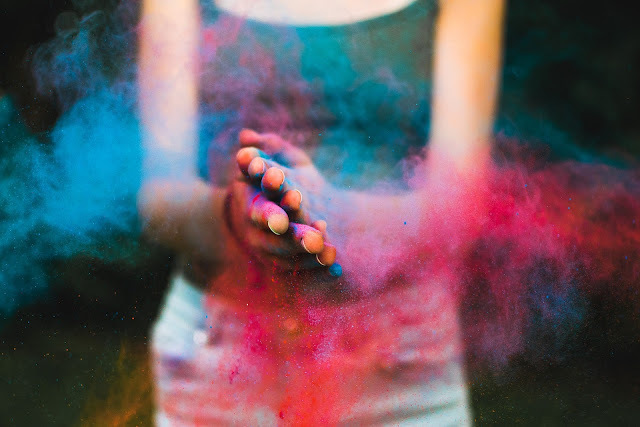 People smear each other with colours and drench each other. Water guns and water-filled balloons are also used to play and colour each other. Anyone and everyone is fair game, friend or stranger, rich or poor, man or woman, children and elders. The frolic and fight with colours occurs in the open streets, open parks, outside temples and buildings. Groups carry drums and other musical instruments, go from place to place, sing and dance. People visit family, friends and foes to throw coloured powders on each other, laugh and gossip, then share Holi delicacies, food and drinks. 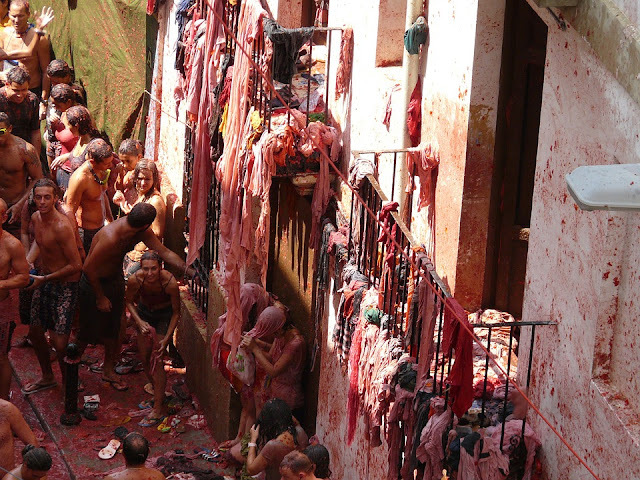 Spain are big on the festival front and have La Tomatina and the Running of the Bulls. La Tomatina is a festival that is held in the Valencian town of Buñol, a town located in the East of Spain, in which participants throw tomatoes and get involved in a tomato fight purely for entertainment purposes. Since 1945 it has been held on the last Wednesday of August, during a week of festivities of Buñol. The Running of the Bulls is a practice that involves running in front of a small group of cattle, typically six, of the toro bravo breed that have been let loose on a course of a sectioned-off subset of a town's streets. The most famous running of the bulls is held during the nine-day festival of Sanfermines in honour of Saint Fermin in Pamplona, although they are also traditionally held in other places such as towns and villages across Spain, Portugal, in some cities in Mexico, and Southern France during the summer. 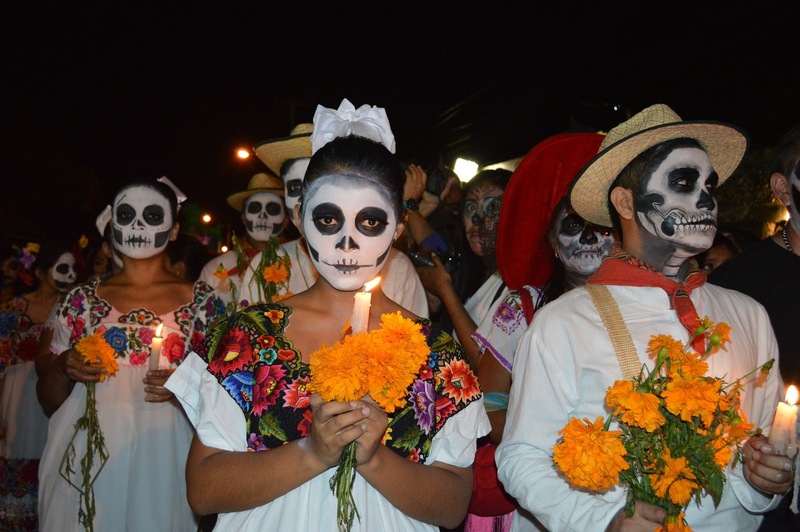 The Day of the Dead is a Mexican holiday celebrated throughout Mexico, but in particular the Central and South regions, and by people of Mexican ancestry living in other places, especially the United States. It is acknowledged internationally in many other cultures. The multi-day holiday focuses on gatherings of family and friends to pray for and remember friends and family members who have died, and help support their spiritual journey. The holiday is sometimes called Día de los Muertos and it is particularly celebrated in Mexico where the day is a public holiday. Archaeological sites remain open at night during the August Moon Festival, giving visitors the unique opportunity to experience these sacred places bathed in moonlight. Some will even offer outdoor music concerts within the sites – a rare opportunity! The celebrations usually include at least 106 archaeological sites and museums around Greece which will remain open and offer free admission. 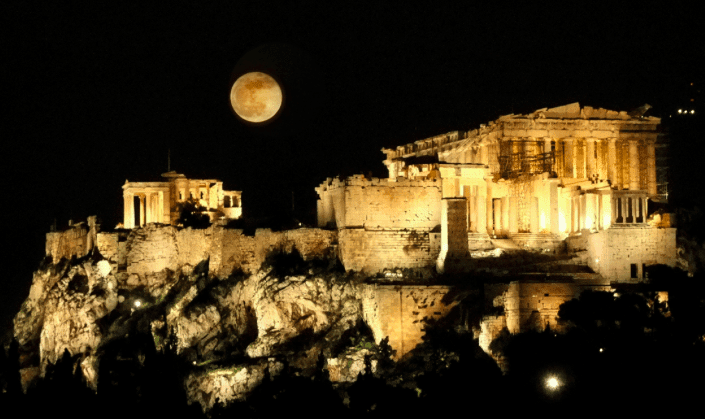 The full moon festival in August is the only day of the year when visitors can enjoy free admission to participating archaeological sites and museums after sunset, a tradition which began in 1996. Many of these will absolutely make it on to my bucket list as they look to be the most spectacular sights! I love seeing things that make wonderful memories and I am pretty sure the photographs would be awesome too! Definitely tales to tell the grandkids.